Celebrated Finnish Architect, Eero Saarinen left quite a mark on both his home country as well as the US. Although he died at the age of 51 in 1961, his work continues to inspire both in Finland and abroad. His American projects include the St. Louis Gateway Arch, the GM Technical center in Detroit and the TWA Terminal in New York's JFK airport, among others. All three projects were completed between 1952 and 1964. His work can take credit for shaping a large part of the image of those who look to the American Identity and its postwar modernism era. It is not without risk and criticism that artists like Saarinen forge on to create some of their best works. His theatrical designs and collaborative "co creator" relationships that he formed with his clients, marked his innovative and fresh approach to the way he worked. 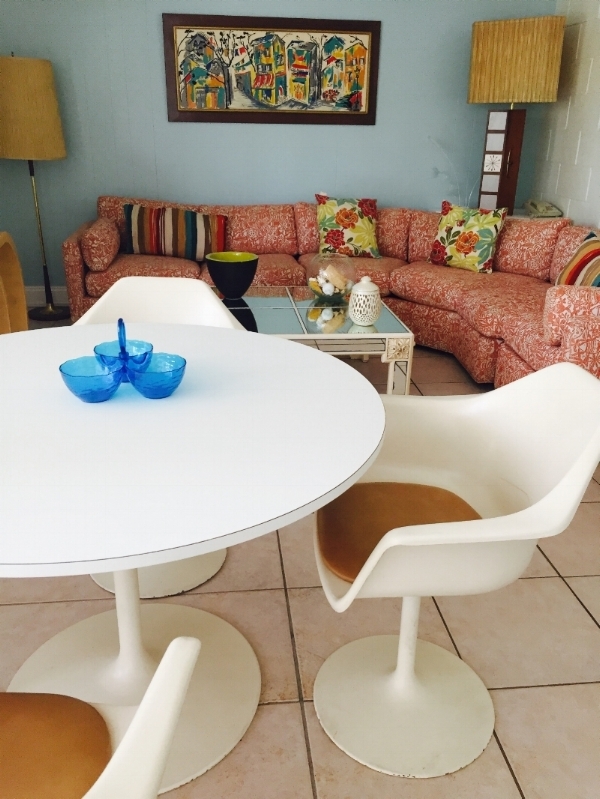 We'd like to pay homage to Saarinen through one of his beloved designs: The Tulip Chair. Whether or not you are a fan of design, mid-century architecture or fabulous furniture in general, you are sure to have seen this chair before. It has been replicated to iconic status.